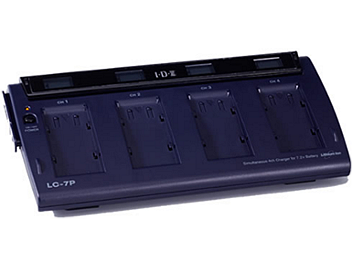 Quad channel simultaneous charger for Panasonic CGP / CGA / CGR Batteries. Equipped with independent battery sensors. Dimensions (WxHxD) : 26.4 x 8.3 x 13.8cm / 10.4 x 3.3 x 5.4"